COLUMBUS, OHIO (May 15, 2018) – Keeping pace with technology while minimizing downtime can be a challenge. Yet, Scriptel Corporation is reversing that trend. The leader in digitizing technology solutions recently launched a three-tiered Extended Support Agreement program, helping organizations worldwide stay steps ahead of the competition and seamlessly adjust to rapid changes within their respective industries. “Scriptel hardware and software end users around the world have a distinct need to achieve and maintain a ‘zero failure’ rate,” says Scriptel President & CEO Stephan Herron. “With our tiered support packages, they get the exact level of service and support they want and need—when they want and need it most. As health care agencies transition to fully electronic health record (EHR) systems, an increasing number of back-office computer systems and networks are then tasked with operating in sync—so that they continue to perform well, in tandem with one another. Health organizations and hospitals deploying multiple Scriptel signature pads will benefit most from the highest level of support: Enterprise. Sophisticated IT installations like theirs often require use of Citrix, VMware or both. Enterprise users get priority access to Scriptel’s technical team, during periods of critical need, and additional software utilities. Scriptel electronic signature solutions are proven to streamline patient registration, document management, and information security for improved UX at every level. Since 1982, Scriptel has been the leader in capacitive pen and other digital workflow technologies. It has deployed more than 3 Million paperless technology solutions worldwide in clinical care, Point-of-Sale (POS), and other dynamic environments. Its no-scratch, glass-surface ScripTouch electronic signature pads, Sign and Save software packages, and custom OEM components deliver high reliability backed by Industry Best service and unrivaled technical support. 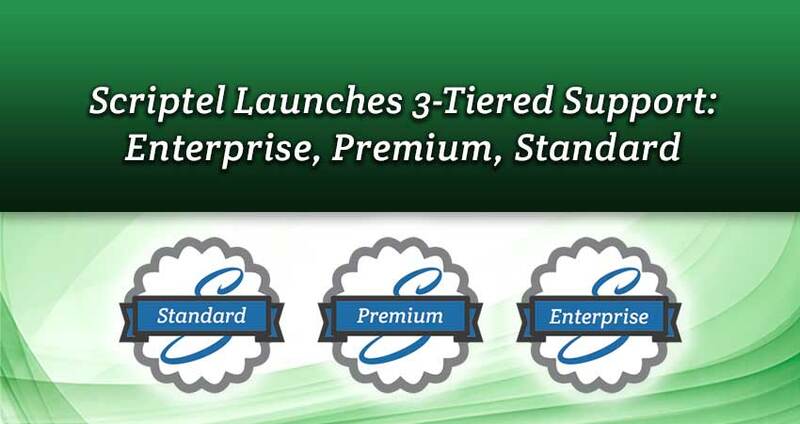 Ready to upgrade to the Premium or Enterprise levels? Email Sales@Scriptel.com. Not a customer yet? Request a 30 Day Risk-Free Trial by calling (877) 848-6824. Need help with an existing product? Contact (844) 972-7478 or Support@my.Scriptel.com.